antoble 4330187304 - Protection: short circuit, over voltage protection, over temperature protection for safety. Total cord length is extended to 6. 5ft / 2M. This product has a 30 day Money-Back Guarantee and a 1-year limited warranty. Compatible with: seagate freeagent external Hard Drive HDD-Seagate BlackArmor WS 110 500gb 1tb 1. 5tb 2tb / iomega prestige, steb2000100, stdu4000100 seagate expansion 2tb 4tb 5tb: stbv4000100, stcg3000100, st303204fda1e1-rk, st303204fpa1e3-rk wd western digital 160 320 500 750 gb 1 tb 1tb my book essential wd2500i032-0 wd1600h1u-00 wd3200h1u-00 wd5000h1u-00 wd my book wd10000eb035 wd10000h1u-00 wd1600b007 wd5000c032-002 wdbaaf0010hbk-nesn; wd2500/032 wd25001032 wd25001032-001 wd2500b012 wd2500b014 wd2500b015 wd2500c032 wd2500d032 wd2500d032-000 wd2500e032 wd2500h032 wd2500i032 wd300a001 wd3200b007 wd3200b012 wd3200b014 wd3200b015 wd3200c032 wd3200e032 wd3200h032 wd my book av dvr expander; live personal cloud; studio, desk mac, stdt8000100, steb4000100, dockstar series/edition ; p/n wa-24e12 wa24e12 da-24b12 ac ads-24p-12-2 1224g ads-24s-12 1224gpcu wa-24c12u s018bu1200150 and others seagate central 2tb 3tb 4tb: stcg2000100, st302504fda1e1-rk, steb5000100 seagate st30000cb, steb3000100, st303204fdc1e1-rk, xtreme theater, stdt5000100, st303204fpa1e2-rk, freeagent, theater+, select desktop / verbatim; expansion, desk, stdt3000100, stdt4000100, stdu3000101, stcg4000100 seagate backup plus 2tb 3tb 4tb 5tb 6tb 8tb: stdt2000100, st30000u2, stdt6000100, Ii; Essential Elements; Wdbabt0010hbk-nesn Wdbacw0040hbk-nesn Wdbaag0030hch-nesn Wdbacg0010hch-nesn Wdbacg0020hch-nesn Wdbacg0030hch-nesn Wdbc3g0010hal-nesn Wdbc3g0020hal-nesn Wdbc3g0030hal-nesn Wdh2q10000n Wdh2q20000n WDBABT0010HBK-NESN WDBCTL0020HWT-NESN WDBCTL0030HWT-NESN WDBCTL0040HWT-NESN WDBCTL0060HWT-NESN WDBFJK0020HBK-NESN Our products are made with the highest quality materials tested by manufacturer to match and/or exceed specifications of OEM products. 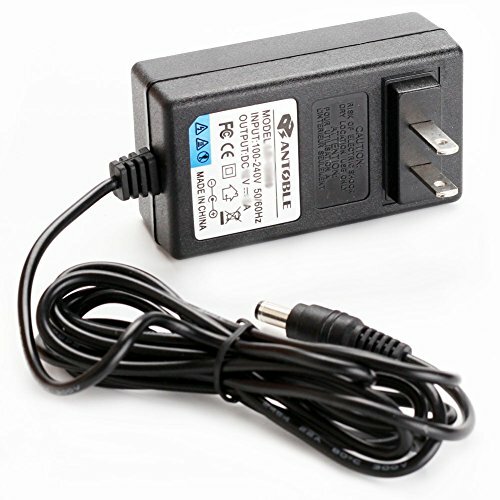 AC Adapter Charger for Seagate Freeagent & WD Western Digital External Hrad Drive HDD 6.5 Ft Power Cord - Input:100-240v 50-60hz; output:12V 2A. Generic BC62410 - Ablegrid trademarked mains usb pc cable for wd my book essential External Hard Drive 4TB 3TB 2TB 1TB compatible parts Micro USB 2. 0 data cable Cord Brand New. ITD ITANDA LYSB00IE6VA0G-CMPTRACCS - Gold-plated SuperSpeed USB 3. 0 type a to micro-b cable is an indispensable accessory for portable external hard drives and smartphones such as Samsung Galaxy S5, Note 3, Note 4, and Note Pro 12.2 with the common Micro-B USB 3. 0 port. Specifications Connector 1: USB 3. 0 micro-b male connector 2: USB 3. 0 type a male cable rating: SuperSpeed USB 3. 0 up to 5 gbps data transfer rate Supports 2. 4-amp fast charging Package Content 1x USB 3. 0 type a to micro-b cable in 3 Feet in Black High performance micro usb 3. 0 cable connects a portable external USB 3. 0 hard drive to a computer for speedy file transfer or synchs and charges Samsung smartphones or tablets equipped with the USB 3. USB 3.0 Micro Cable, ITANDA 3.3ft USB 3.0 A to Micro B Cable Charger Compatible with Samsung Galaxy S5, Note 3, Note Pro 12.2, WD Western Digital My Passport and Elements Hard Drives - 0 micro-B port. Enjoy superSpeed USB 3. 0 data transfer rate at up to 5 Gbps, 10x faster than USB 2. 0 Superspeed USB 3. 0 delivers 10x the data transfer rate of Hi-Speed USB 2. Seagate - The combination of gold-plated connectors, bare copper conductors, and foil & braid shielding provides superior cable performance, error-free data transmission, and fast charging speed. Compatible with samsung galaxy s5, seagate freeagent, galaxy note pro 12. 2, and portable USB 3. 0 external hard drives including toshiba Canvio, Galaxy Note 3, and Western Digital WD My Passport and Elements hard drives. Length: 3FT. Enjoy superSpeed USB 3. 0 data transfer rate at up to 5 Gbps, 10x faster than USB 2. 0100% brand new. Compatible with Seagate FreeAgent GoFlex Desk 1. 5 tb usb 2. 0 external hard drive stac1500100 this uSB Interface Cable enables you to transfer your camera pictures to a computer fast. Usb 2. 0 cable, type a to Mini 5-Pin Type B. 5FT USB2.0 Data Sync Cable Cord For Seagate FreeAgent GoFlex Desk 1.5 TB USB 2.0 External Hard Drive STAC1500100 - Premium micro usb 3. 0 wire engineered with molded strain relief connectors for durability and grip treads for easy plugging and unplugging. Usb 2. 0 specification, Hi-Speed transfer rates up to 480Mbps. NiceTQ - The combination of gold-plated connectors, error-free data transmission, and foil & braid shielding provides superior cable performance, bare copper conductors, and fast charging speed. Compatible with samsung galaxy s5, seagate freeagent, galaxy note pro 12. 2, and portable USB 3. 0 external hard drives including toshiba Canvio, Galaxy Note 3, and Western Digital WD My Passport and Elements hard drives. Length: 3FT. Usb 2. 0 cable, type a to Mini 5-Pin Type B. 100% brand new. Usb 2. 0 specification, Hi-Speed transfer rates up to 480Mbps. Compatible with western Digital WD Elements 3 TB USB 2. 0 desktop external hard drive This USB Interface Cable enables you to transfer your camera pictures to a computer fast. 100% brand new. AmazonBasics 1AA2 - Premium micro usb 3. 0 wire engineered with molded strain relief connectors for durability and grip treads for easy plugging and unplugging. Usb 2. 0 cable, type a to Mini 5-Pin Type B. Compatible with seagate freeagent goflex desk 1. 5 tb usb 2. 0 external hard drive STAC1500100 . Usb 3. 0 uses less power, but has increased power output - up to 4. 8 gbit/s. High performance micro usb 3. 0 cable connects a portable external USB 3. 0 hard drive to a computer for speedy file transfer or synchs and charges Samsung smartphones or tablets equipped with the USB 3. 0 micro-B port. Usb 2. 0 cable, type a to Mini 5-Pin Type B. Length: 3FT. Ideal for connecting usb 3. 0 enabled pc peripherals such as hard drives, printers, network hubs and more. 3 Feet 0.9 Meters - A-Male to Micro-B - AmazonBasics USB 3.0 Cable - Compared with the USB 2. 0 transmission speed, USB 3. 0 is 10 times faster. AmazonBasics Z25K - Usb 3. 0 uses less power, but has increased power output - up to 4. 8 gbit/s. Usb 3. 0 uses less power, but has increased power output - up to 4. 8 gbit/s. The combination of gold-plated connectors, bare copper conductors, and foil & braid shielding provides superior cable performance, error-free data transmission, and fast charging speed. Compatible with samsung galaxy s5, seagate freeagent, galaxy note pro 12. 2, and portable USB 3. 0 external hard drives including toshiba Canvio, Galaxy Note 3, and Western Digital WD My Passport and Elements hard drives. Length: 3FT. Usb 2. 0 cable, type a to Mini 5-Pin Type B. Usb 2. 0 specification, Hi-Speed transfer rates up to 480Mbps. A-Male to Micro-B - AmazonBasics USB 3.0 Cable - 6 Feet 1.8 Meters - Usb 2. 0 specification, Hi-Speed transfer rates up to 480Mbps. Length: 3FT. High performance micro usb 3. 0 cable connects a portable external USB 3. 0 hard drive to a computer for speedy file transfer or synchs and charges Samsung smartphones or tablets equipped with the USB 3. AmazonBasics IFRI - One usb 3. 0 cable - a male to micro B - 6 Feet 1. 8 meters. Usb 2. 0 cable, type a to Mini 5-Pin Type B. Constructed with corrosion-resistant, gold-plated connectors for optimal signal clarity and shielding to minimize interference. Constructed with corrosion-resistant, gold-plated connectors for optimal signal clarity and shielding to minimize interference. Enables throughput of up to 4. 8gbps when used with a USB 3. 0 host and device. Enables throughput of up to 4. 8gbps when used with a USB 3. 0 host and device. Length: 3FT. Connects speed-critical devices, such as external hard drives and smart phones, and peripherals that require a Mini-B connection to your computer. AmazonBasics USB 2.0 Cable - A-Male to Mini-B - 3 Feet 0.9 Meters - Usb 2. 0 cable, type a to Mini 5-Pin Type B. Ideal for connecting usb 3. 0 enabled pc peripherals such as hard drives, printers, network hubs and more. Usb 3. 0 uses less power, but has increased power output - up to 4. 8 gbit/s. ITD ITANDA LYSB01B35EOXO-ELECTRNCS - Enjoy superSpeed USB 3. 0 data transfer rate at up to 5 Gbps, 10x faster than USB 2. 0 Convenient and cost-effective micro usb 3. 0 cords provide spare or replacement Micro-USB 3. 0 cables to keep at the desktop, in your accessory bag, or in the car. Premium micro usb 3. 0 wire engineered with molded strain relief connectors for durability and grip treads for easy plugging and unplugging. One usb 3. 0 cable - a male to micro B - 6 Feet 1. 8 meters. Specifications Connector 1: USB 3. 0 micro-b male connector 2: USB 3. 0 type a male cable rating: SuperSpeed USB 3. 0 up to 5 gbps data transfer rate Supports 2. 4-amp fast charging Package Content 2x USB 3. 0 type a to micro-b cable in 3 Feet in Black High performance micro usb 3. USB 3.0 Micro Cable, ITANDA 2-Pack 3.3ft USB 3.0 A to Micro B Cable Charger Compatible with Samsung Galaxy S5, Note 3, Note Pro 12.2, WD Western Digital My Passport and Elements Hard Drives - 0 cable connects a portable external USB 3. 0 hard drive to a computer for speedy file transfer or synchs and charges Samsung smartphones or tablets equipped with the USB 3. 0 micro-B port. Usb 2. CableCreation CC0762 - Premium micro usb 3. 0 wire engineered with molded strain relief connectors for durability and grip treads for easy plugging and unplugging. 3-foot-long high-speed USB 2. 0 a-male to Mini-B cable. High performance micro usb 3. 0 cable connects a portable external USB 3. 0 hard drive to a computer for speedy file transfer or synchs and charges Samsung smartphones or tablets equipped with the USB 3. 0 micro-B port. Easily enables portable hard drives, no external power supply required. Convenient and cost-effective micro usb 3. 0 cords provide spare or replacement Micro-USB 3. 0 cables to keep at the desktop, in your accessory bag, or in the car. Compared with the USB 2. 0 transmission speed, USB 3. 0 is 10 times faster. USB 3.0 Micro Cable, Cablecreation USB 3.0 A to Micro B Cord, Compatible External Hard Drive, HD Camera, Charging Samsung Galaxy S5, Note 3/N9000, 3.3FT / 1M, Space Gray Aluminum - Backward compatible with your existing USB 2. 0 devices. Wild compatibility* versatile use for external hard drive such as toshiba, Sony, Lenovo, Canvio, western digital, Seagate, hd camera, Samsung Note 3/S5/Note Pro 12.2/n9000, newman, usb hubs, Samsung, etc. Ultra durability* fashionable braided jacket and aluminum alloy case with shaped SR protect the cable from unlimited bending. SaiTech IT FBA_SaiTech IT-001 USB 3.0 Micro Cable - Constructed with corrosion-resistant, gold-plated connectors for optimal signal clarity and shielding to minimize interference. These cables are compatible with most USB 3. 0 external portable and desktop hard drives. High performance micro usb 3. 0 cable connects a portable external USB 3. 0 hard drive to a computer for speedy file transfer or synchs and charges Samsung smartphones or tablets equipped with the USB 3. 0 micro-B port. Connects speed-critical devices, such as external hard drives and smart phones, and peripherals that require a Mini-B connection to your computer. Enables throughput of up to 4. 8gbps when used with a USB 3. 0 host and device. Premium micro usb 3. 0 wire engineered with molded strain relief connectors for durability and grip treads for easy plugging and unplugging. Super Speed USB 3.0 Cable A to Micro B for External Hard Drives SaiTech IT-001 - Compared with the USB 2. 0 transmission speed, USB 3. 0 is 10 times faster. These cables are compatible with most USB 3. 0 external portable and desktop hard drives.